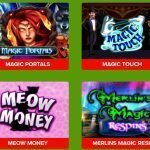 Wolfpack Pays Online Slot Machine is a new video slot from NextGen slot games. 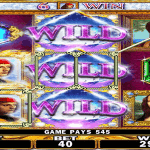 NextGen have always produced slots with great quality both graphic wise and gameplay wise. And this slot is expected to be of the same mould. The game has 5 reels and 243 ways to win. 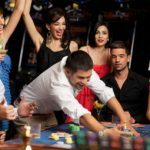 The game is really feature rich with a lot of different bonus rounds, free spins and wilds scattered throughout the game. Perhaps the most important feature of them all is the trademark On a Roll feature. 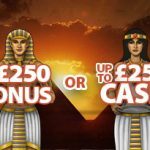 According to NextGen this feature will revolutionise how slot game developers incorporate consecutive wins features in their slots games. The feature is said to be far more player friendly than other such bonus features in other games. 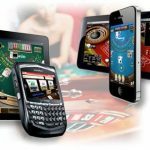 This online slot game is also fantastic to play on any mobile smart-phone! NextGen slots usually have pretty good graphics in them. Even the most basic of NextGen slots have graphics that are better than what most other slot games have. Wolfpack Pays slot is a visually appealing game for any seasoned slots enthusiast. The background is made of a very nice looking mountainous forest while the reels are covered with bright and vivid gemstone symbols. The stones are in the shape of hearts, clubs, diamonds and spades. Also there are a couple of wolf symbols along with a paw symbol. The sound effects add another dimension to this slot game. A great job from the graphics department at NextGen. Wolfpack Pays has 5 reels and 243 ways to win. 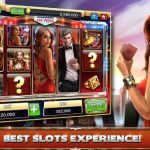 The slot is said to have a high variance. 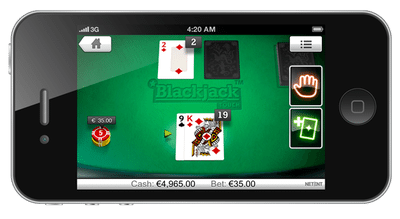 But that is common with almost every slot that boasts of big wins. And big wins are what make this slot special. So, if you are looking for a game where you can have a relaxed time playing it then this is not for you. This is a high action, adrenaline pumping slot game. 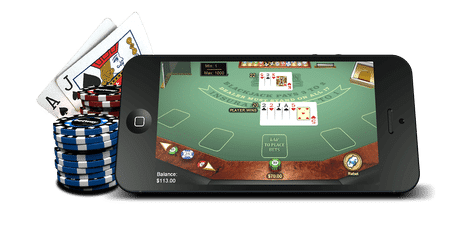 The main attraction in Wolfpack Pays Online Slots though is the special features such as Werewolf packs, on a roll and of course the wolf wilds. Do watch out for them as they combine to provide you with some really big wins. So, bored of all those slots with the same base game and little or no bonus features? Want to try your hand at a different kind of slot game with tons of bonus features? Well look no further. Wolfpack pays slots online is undoubtedly the game for you. This is an action filled, edge of the seat kinda game that will keep you thrilled and entertained throughout. But it just doesn’t provide the thrills and the excitement but it also pays big. Add this to the fact that the game both looks and sounds great. What more could you ask for in a slot game? So, just get online and start playing this game. Cause this simply is one of the best slots to have come out in recent times.